As always, the West Side NRZ meets on the third Tuesday of every month at 6:30 pm (light dinner served at 6) at the Fairgate Community Center. We’ve invited community agencies and service providers to join us, sharing information about services that can benefit our community. Catalina Horak, Executive Director of Neighbors Link in Stamford, who will tell us about this vibrant organization that is working to strengthen the community by actively enhancing the healthy integration of immigrants. Neighbors Link offers ESL classes – a referral service for skilled workers and general laborers – and a variety of individual and family support services. Mavina Moore, SR, MPA, HIV Prevention Outreach Educator, Stamford Health Department, who will be sharing information about free HIV testing and prevention services and also updating us about other Health Department programs and health/medical services and supports. Greenfield, the 45-unit mixed income housing community on Merrell Avenue, that is the third phase of the Vidal Court relocation, is on schedule to open this fall. This new complex is shaping up to be a striking addition to the West Side streetscape, serving as both a visual buffer for the new Stamford Hospital as well as its architectural transition to the residential neighborhood and Lione Park. Click here for information / application. Rick Redniss, president of the land use firm Redniss & Mead, briefed us on the hoped-for expansion of the Boys & Girls Club on Stillwater Avenue. Slated for a fall start, the plan is to build a much-needed new gym and teen center. Karen Gottlieb, Executive Director, AmeriCares Free Clinics, discussed the program’s recent expansion into Stamford. The AmeriCares Free Clinic provides quality healthcare to low income residents in a setting where they are assured of being treated with dignity and respect. 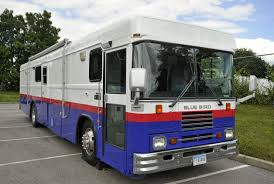 Services are available to all, including those with no insurance. The only requirements are a photo ID, proof of residency and proof of income. Patients receive comprehensive care including medications, lab work and diagnostic testing all at no cost. Click here for more information. 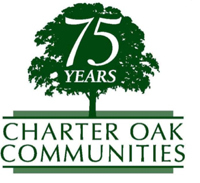 Happy 75th Birthday to Charter Oak Communities! It has been 75 years since Charter Oak Communities was chartered as the Stamford Housing Authority, and there’s much to celebrate – most particularly in the past decade, which has brought many attractive new communities to the city, along with innovative partnerships. Most notable is the Vita Health & Wellness District, which will transform and improve the health of our West Side neighborhood in every way. 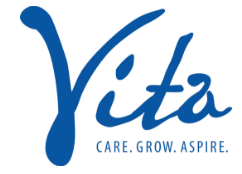 Special thanks to Charter Oak’s executive director & CEO, Vin Tufo!